If you’re looking for a restaurant that’s off the beaten path, consider The Pearl in Brussels. To eat there, diners must venture 16 feet below the surface of an indoor pool. 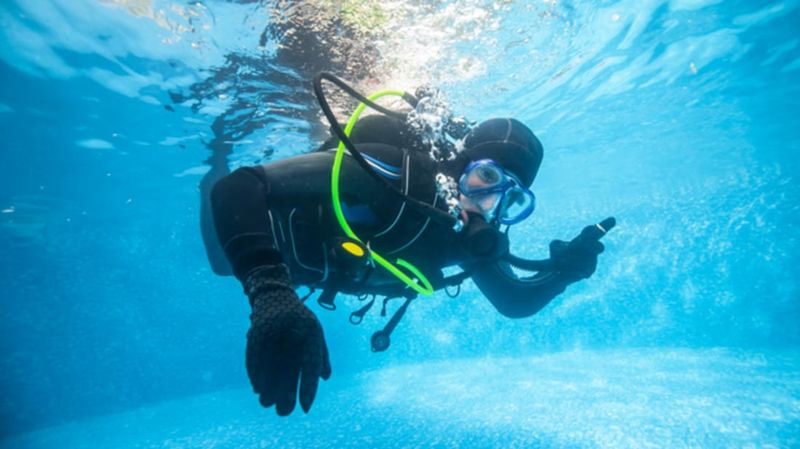 According to Reuters, The Pearl consists of a 6-foot-wide underwater pod that’s only accessible after a quick scuba dive. Once patrons climb inside and shed their gear, gourmet grub in air-tight containers is delivered by wet-suited servers. The menu includes foie gras, lobster salad, and champagne, as well as a price tag to match. The whole experience costs around $106 per person. If you're willing to spend serious cash to enjoy an aquatic dinner, there are underwater restaurants elsewhere that don’t require their diners to get wet.